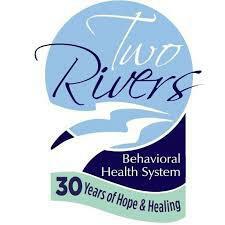 Two Rivers Behavioral Health System, a free-standing psychiatric hospital in south Kansas City, will close on Feb. 9 and lay off 129 nurses, therapists and other employees. The 105-bed facility at 5121 Raytown Road opened in 1986 and treated children, adolescents and adults for psychiatric and substance use disorders. Susan Fitzpatrick, the hospital’s business director, said the decision to close the hospital was made by its corporate parent, Universal Health Services of King of Prussia, Pennsylvania. Fitzpatrick did not elaborate, but the hospital lost $3.4 million on revenues of nearly $28 million in 2017, the last year for which records are available. Two Rivers also was cited by federal health regulators last year for multiple deficiencies. Among them was failing to ensure that six patients admitted with diagnoses of suicidal ideation were provided care in a safe setting. “These severity and cumulative effect of these systemic practices had the potential to place all patients at risk for their health and safety, also known as Immediate Jeopardy,” the regulators’ report stated. Fitzpatrick said Two Rivers has stopped accepting patients and is winding down operations. Universal Health operates two other psychiatric facilities in Missouri: Heartland Behavioral Health Services in Nevada and St. Louis Behavioral Medicine Institute in St. Louis. Fitzpatrick said both facilities remain open. Two Rivers’ corporate parent was the subject of a lengthy investigative report by Buzzfeed two years ago. The report found that the company had exaggerated patient symptoms and filled beds solely for financial gain. Universal Health denied the allegations. Last year, it set aside $43 million related to a long-running government investigation alleging fraudulent billing practices at more than two dozen of its psychiatric hospitals. It also disclosed that it’s the subject of a criminal probe by the U.S. Department of Justice’s criminal fraud section. Universal Health is the nation’s biggest operator of psychiatric hospitals as well as one of the biggest operators of acute-care hospitals. A 72-bed, private behavioral health hospital opens its doors this week in Olathe amid growing demand for mental health and substance abuse services in an era of uncertain government support. Cottonwood Springs Hospital is the 12th behavioral health hospital built or under construction by Springstone Inc., a for-profit company founded in Louisville, Kentucky, in 2010 and backed by venture capital.